Duncan Cooper currently lives in San Francisco, CA. He received most of his training in the San Francisco Ballet School and later spent 5 years dancing in the company. 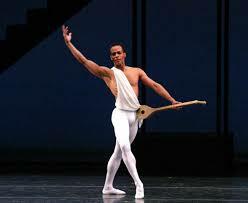 He then joined The Dance Theatre of Harlem as a Principal Dancer in 1995, until 2004. He has danced notable leading roles. His list of guest artist appearances includes lead roles for New York City Ballet, Birmingham Royal Ballet, Washington Ballet, the 12th International Ballet Festival of Miami and more.